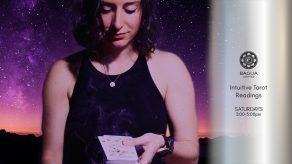 Join us for a very special full moon circle and Vedic fire ceremony. 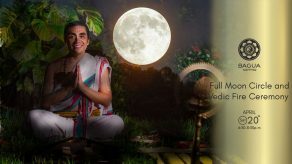 The full moon of April invites us the possibility to awake and invite divine protection in our life, in the Vedic tradition this cosmic energy is known as “Narasimha”, the constellation ruling the full moon energy is called Swati and this particular full moon activates divine protection (Narasimha) in our life. It is excellent to wecome divine protection and expand this petition of divine protection to our loved ones and projects, this “divine shield” also protect us from the shaking planetary movements (like retrograde transits). This full moon allows us to burn negative past karmas that may be stopping us to awake our full potential. Using the sacred Vedic Fire we will balance the chakras, activate the spiritual shield (maha-sudarshana), welcome divine protection (Narasimha) in our life and burn negative past karmas. A Vedic talisman will be giving to you to carry this divine protection with you. 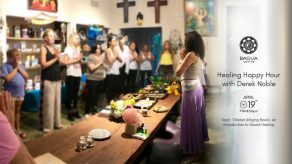 Gathering at Magical Garden, we will invite the power of this full moon to light our way! We will be outdoors for this ceremony so please dress comfortably and appropriate to the weather. We look forward to opening the new year with this powerful experience with you!